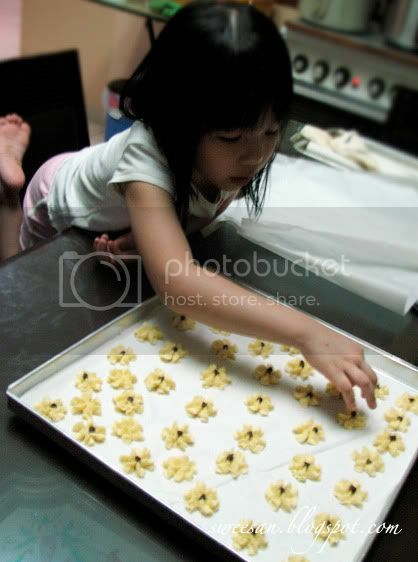 I like making cookies when my nieces are around, they always bug me to let them do something. Like balling them or putting the choc chips or rolling or cutting, or something. Orite, back to the cookies. Well if u’ve read my blog for some time you will notice that there’s alot of post abt Singapore. 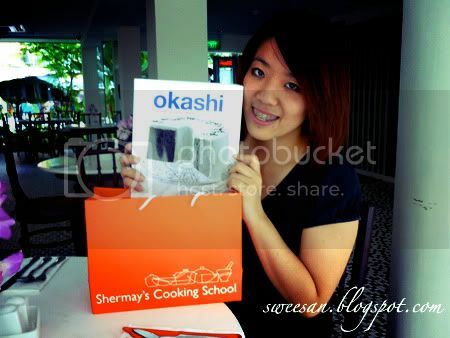 And funny thing was I was really OCD that I needed to get the book Okashi by Keiko Ishida from Shermay’s cooking school. See, that was the first place we went upon arriving Singapore. See how desperate ? I’ve always been a fan of Japanese inspired French patisserie, no doubt. The book was good either for beginners or professionals as collectibles as it was loaded with photos at every page and even step by step photos. Best part was there’s even a section for pets; read chicken liver cookies and homemade jerky. Also in the book was a section of special recipes; read dairy and egg free. 1. Preheat oven to 150 C, then bake almond flakes for about 20 minutes. Sift flour and cocoa powder together. 2. Beat butter, sugar and salt until softened. Add egg yolk and mix well. 3. Fold flour, cocoa powder into butter mixture. Add toasted almond flakes and fold through. Chill dough in refrigerator for 15 minutes. 4. Divide cookie dough in half. Shape into logs about 4cm diameter in parchment paper. Wrap logs and chill till it’s harden. 5. Increase oven temp to 160 C.
6. Slice cookie dough log into 7mm thick pieces. 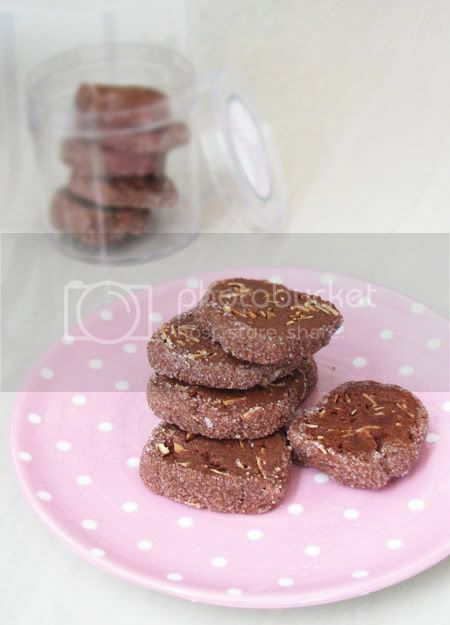 Roll edges of cookies in some granulated sugar. 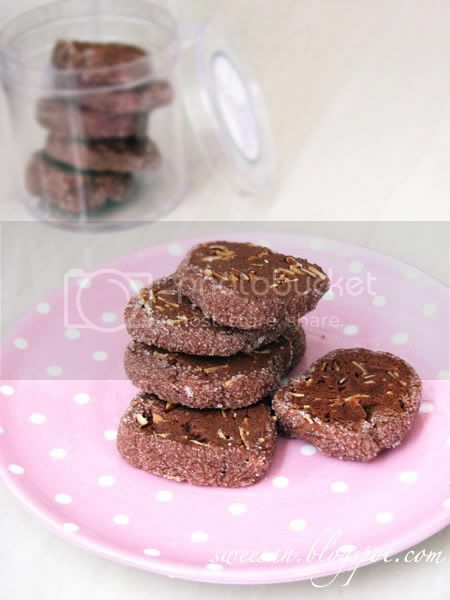 Place cookies on a baking tray and bake for about 20 minutes. 7. Remove from heat and cool on wire rack. Store cookies in airtight container. Note : Be patient and make sure the dough is hard enough to cut, and doesn’t changes its shape. Otherwise you get cookies which are shaped like mine, a little odd instead of round.